In software test automation after completion of the test suite execution we need to have a report for the execution status and it is the only way of evidence for the pass and fail status of the tests. And most of the clients bother about the detailed report of the execution status. Most of the licensed automation testing tools will have in built rich report option to show the execution status. But coming to open source automation tools lacking in this option. Same way, Selenium also does not have the automation report generation option. But to execute the test suite, selenium is depending on unit testing frameworks like TestNG. After test suite execution using TestNG, by default they will give the HTML reports, but the information provided by these reports are not so good. To avoid this, we are using XSLT reports, these are much better than normal TestNG. These will give a pie chart to represent the PASS,FAIL and SKIP test cases. Apart from this PIE Chart it will not give anymore information in the generated HTML report. If we want any other information we need to write separate code. 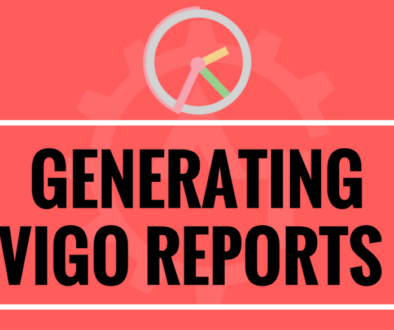 To overcome these type of issues, we can use Vigo Reports. These are very good and rich HTML reports. By using these reports we can provide lot information to the reports. These will also give the status in the form of PIE and BAR Chart. And these reports are integrated with TestNG, Cucumber and Mocha. To work with Vigo Reports, we need to create an account in their official site. And need to log into that account then create a project. If you want to maintain more than one project also we can do the same with this account. For each execution it will create history in the form of builds. Then you can compare with current build with previous build and you can get the analytics of your test suite execution health. Easy Configurable: It takes only 5 minutes to set up. No required of high-level coding configuration to generate your automation report. To configure an automation environment with VigoReports, You just need to pass your Project-Key and Project test-output Directory then Smart VigoBot will take care of all rest of things and it’s only one-time configuration. That’s it. Clean Interface: Vigo generates automation report with a clean and easy to understand interface. VigoReports represent your test-case result with the various charts and give you valuable analytics. it will give you whole insights of your test build, like build & test status, highlight failure reason, execution time details of test steps. This will help tester to determine whether to modify the script or report a bug for actual failure. Test Analytics: Important information with graphs and tables represent the smart analytics of you current build, and progression flow gives the success and fail ratio over time. With the smart analytics, Project manager or business people can get the idea about automation statistics like build progression , Total time summary, Module wise summary. This will help decision maker to track failures of the modules and come with some important decision regarding projects. Progression History: Yes, History is always important. Here vigo always care about your build history over time, and come with some new executable information. By mining history it will help you to review progression chart to check health of builds, Execution time chart to determine machine capacity and success and failure ratio respectively over time. Custom Email Trigger: Get your test execution summary through mail via various custom email triggers and can find the report for the current execution status remotely. Access Anywhere Report: You can log into your account and can find the report for your test execution remotely as it is web based report. The above are the advantages provided by the Vigo Reports. We can discuss all these things in the coming blogs.